How come I don’t have that on my account? How can I put that on mine? How do you get the suggested followers drop down box on your profile though? Why isn’t my drop box showing ? How Come Only Some People Have The Drop Down Menu? How do I get the drop down arrow on me insta account??? How do I get the arrow drop down box onto my account? How do I get the drop down box thingy on my account?! I haven’t been able to find out exactly why some accounts have this drop down menu. 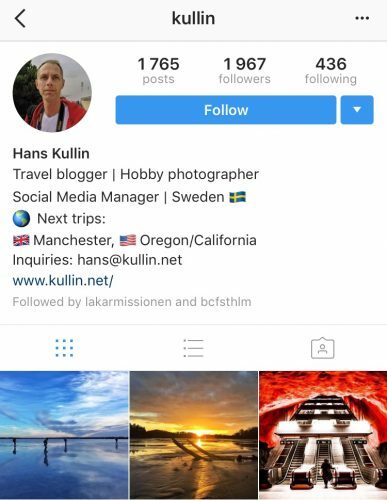 It’s nothing you can do to activate it, Instagram decides who gets it and it seems that accounts with more than 1000 followers stand a better chance of getting it, but I have also seen accounts with less followers who have it. I will update this post as soon as I find an answer. How do I do it ????? I’ve noticed that accounts with 100 followers or more seem to have it. I have two accounts and one has 477 followers and the other has only 63. I have many friends that have over 100 followers and they all have the drop down, however my friends with under 100 followers don’t. There is also a thing about if you don’t have the drop down, your Instagram is being deleted, but I’m 99% sure it’s fake. I think the reason some people have the arrow and others don’t is because they have updated their instagram app. We wouldn’t be able to see our arrows because we can’t follow ourselves. Lol. Ask to view your page from your friend’s phones and you should see the arrow! Hi guys, I figured out how to get the drop down box onto your profile. Once you make your page public (turn it off private) a drop down box will appear on your profile when others view your profile. It works by if you’re on private or not on private. So if you’re on private you will not get it but if you’re not on private it will show up. You have to take your page off private and you’ll have one…..
i had it but its gone. what happened? please explain.